TIC GUMS, Inc., located in Belcamp, MD is the largest producer of hydro colloids in the US and offers functional gums for the manufacturing industry. They were looking for a team of research chefs to aid in product development applications. Chef Services Group was hired to represent TIC Gums as their experienced culinary group. CSG aided in product development, application expertise and National Sales Account and trade-show support. Support the development of products through formulation consultation and hands-on plant scale-up and pilot test runs. Work with R&D managers and Research Chefs to solve production issues at the unit and plant level insuring product integrity and consistency in performance of the gums. 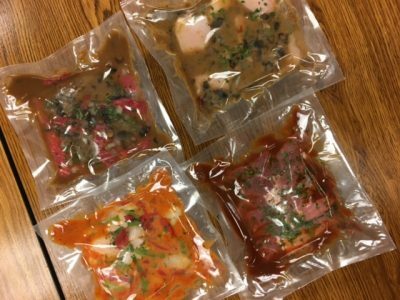 Among many successes, CSG and TIC GUMS created a hydro colloid culinary kits showcasing over 200 application concepts of plant-ready prototype formulations. TIC continues to be among the hydro colloid industry leaders in the country.